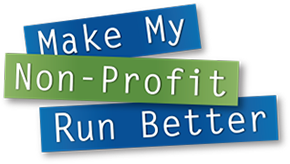 DAVENPORT, Iowa (Aug. 24, 2015) – A total of 199 non-profit organizations have entered the 10th annual Make My Non-Profit Run Better contest for a chance to win a $15,000 office technology makeover from RK Dixon and Premier. RK Dixon and Premier − both leading providers of copiers, printers, IT services, managed print services and pure drinking water systems – are now giving the public a chance to support their favorite non-profit organization by simply casting their votes online at www.MMNPRB.com. The first round of voting will narrow participants down to the top 30 organizations, moving them one step closer to the top prize of $15,000 worth of office technology. The Make My Non-Profit Run Better contest provides non-profit organizations in nearly 125 counties across Iowa, Illinois and southern Wisconsin the opportunity to win an office technology makeover valued at up to $15,000. The first runner-up will receive a multi-function printer valued at up to $10,000. The four remaining winners will receive a multi-function printer valued at up to $5,000. In addition, RK Dixon and Premier will award 10 runners-up with printers valued at up to $1,000 each. To celebrate the 10th anniversary of the contest, RK Dixon and Premier are also launching the “10 Days of Giveaways” between today and Sept. 2. Each day, one registered non-profit entrant will be awarded an 80GB Lenovo Tab 2 tablet via random drawing. The first round of online voting will end on Sept. 2 at 5 p.m. Visit www.MMNPRB.com to vote daily for your favorite non-profit organization. The second and final round of voting will begin Sept. 14 and will narrow down the top 30 finalists to the winning organizations. The winner of the Make My Non-Profit Run Better contest is scheduled to be announced the week of Oct. 2. In total, 18 organizations will receive a prize from RK Dixon and Premier, ranging from $1,000-15,000. For a complete list of registered non-profit organizations, please visit: http://www.mmnprb.com/search/. Premier has become a leading provider of copiers, printers, managed print services, and IT solutions in each of the business communities it serves. Its team of highly experienced professionals work to help identify opportunities that will help position companies for success in today’s ever-changing business environment. Premier covers more than 40 counties in central Iowa with offices in Marshalltown and Des Moines. In April, 2011, Premier was acquired by Global Imaging Systems (GIS), a Xerox Company (NYSE: XRX). For more information, visit www.premier-iowa.com or call 888.569.1257. Xerox is a global business services, technology and document management company helping organizations transform the way they manage their business processes and information. Headquartered in Norwalk, Conn., we have more than 130,000 Xerox employees and do business in more than 180 countries. Together, we provide business process services, printing equipment, hardware and software technology for managing information — from data to documents. Learn more at www.xerox.com.